South Georgia tour covers Samtskhe-Javakheti region, located on south-west from Tbilisi. The most popular attractions here are Vardzia cave monastery complex and Borjomi park, but this is even less then top of iceberg. We offer 4 day tour which will cover not only the mos popular destinations, but also we will go off beaten trek to see many hidden treasures, taste local unique wine and enjoy horse ridding in Borjomi-Kharagauli national park – the largest untouched forest massive in Europe. Optionally south Georgia tour can be finished in Kutaisi instead of Tbilisi, or be done from Kutaisi and finished in Tbilisi. Also in summer (from end of may till mid of September) last day can be changed, see detailed description below. Driving distance: approx. 750 km. In the morning we will leave Tbilisi from southern road and soon turn west to Javakheti and Trialeti mountains. Drive will take pretty long time – 2 to 3 hours, through forests. On the road we will see shepherds shelters. 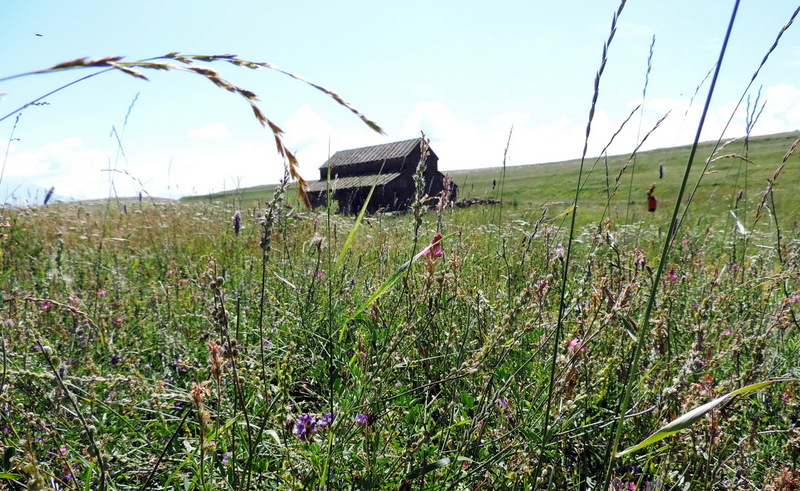 Soon we will approach small town Tsalka to hike in Dashbashi canyon nearby. Hike is easy, total distance around 3 km. After hike lunch with lunchboxes. Then we will cross Javakheti range on altitude 2100m above the sea level and approach Paravani lake. Short walk for photos by the lake. After walk visit Poka nunnery where nuns are making very interesting types of cheese. After nunnery we will continue to drive to Sagamo lake, which is smaller than Paravani, but not less beautiful. Tonight we will sleep in small hotel by the lake shore, this hotel also has trout farm, so for dinner tourists can order fresh trouts. 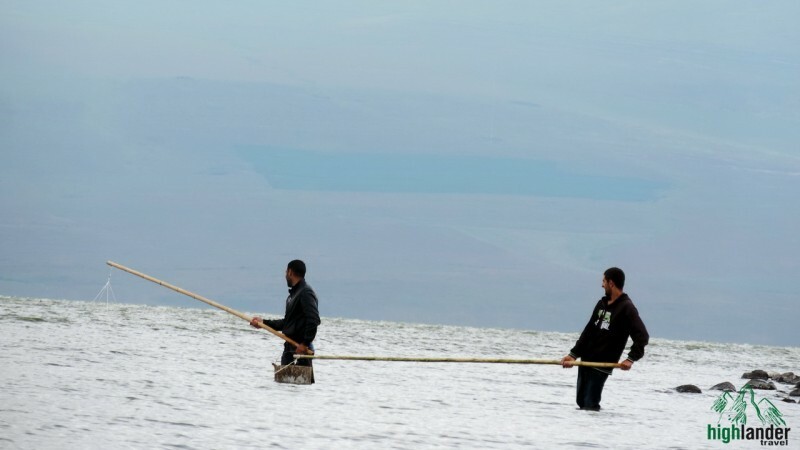 After breakfast on the picturesque Sagamo lake shore, drive down from Javakheti plateau to Paravani river gorge. Today will b much less driving and much more sightseeings than the day before. First of all we will visit Khertvisi fortress located where river Paravani is merging with major river in Eastern Georgia – Mtkvari. The modern fortress belongs to Ottoman period, but on this strategical crossroad first fort was built in I century BC. After visiting Khertvisi we will continue to Tsunda lake. Lake is much smaller than Paravani or Sagamo, but still very nice and deep. Later we will visit Vanis Kvabebi cave complex, which is located near Vardzia but very rarely visited by tourists. Day will be finished with Jeep tour to Upper Tmogvi abandoned village with extremely beautiful views, on the way there we will also see Tmogvi fortress, which belongs to early middle ages and is located on high cliff above the river Mtkvari. We will have dinner and sleep in farm guesthouse below Tmogvi – Tirebi. Day 3: Vardzia, rare Meskhetian wines, Megalith fortress, Sapara monastery, Rabati fortress and Abastumani. 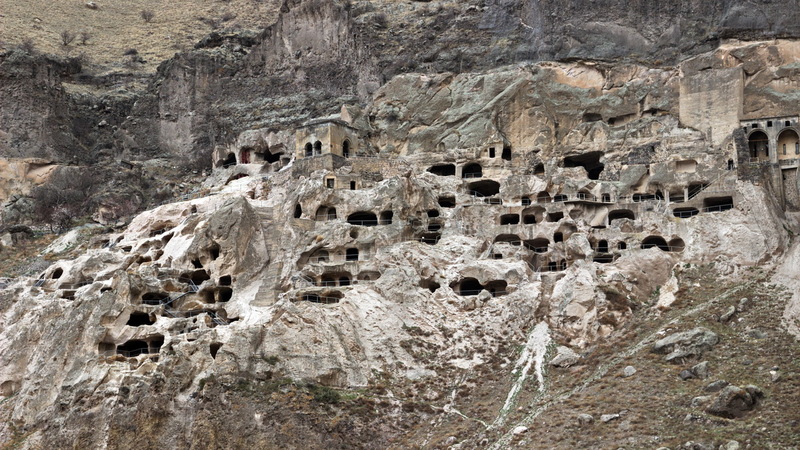 After breakfast first of all we will visit Vardzia cave monastery complex – the major tourist attraction in the area. Complex belongs to XII century, and originally was meant to be secret city hidden deep in mountain, but after horrible earthquake in late XIII century complex was totally converted to monastery, which existed until mid of XVI century, when Ottomans occupied the region, Vardzia was abandoned. After Vardzia we will have short drive to village Saro. Most houses here are more than one century old. We will see megalith fortresses dated by Bronze age, old house and after walk visit local wine maker’s family, where we will try local products, have light lunch and taste local, very rare wines. Tourists will have possibility to buy what they will like. In Middle ages Mtkvari gorge was one of the centers of wine making, but during long Ottoman rule vineyards were destroyed, wine making forgotten. New few winemakers are trying to give new life to Meskhetian wines. Next destination will be Sapara monastery near town Akhaltsikhe, hidden in the forests is dated by XIV century and has unique frescoes. 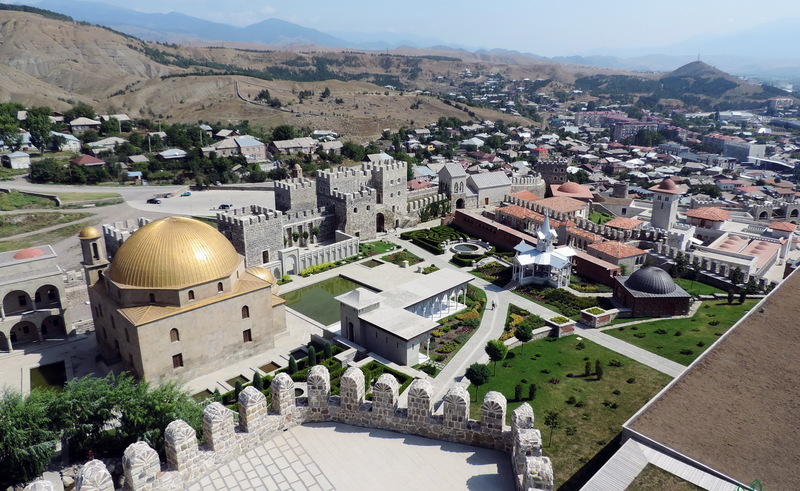 After Sapara we will visit Rabati fortress which is mostly renovated, in the center of Akhaltsikhe town. After darkness, in case of good weather we will drive to Abastumani observatory where will enjoy tour and look at the stars, moon and may be planets. Overnight in case of option one in Atskuri guesthouse, in case of option two – Abastumani guesthouse. Day 4: These day has two options. 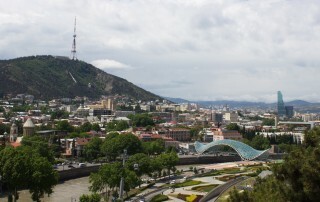 Option 1 – tour will be finished in Tbilisi or Kutaisi. After breakfast in Atskuri horse ridding tour in Borjomi-Kharagauli national park. Tour duration is 5 hours. Borjomi-Kharagauli is largest untouched forest massive in Europe. After tour light lunch and continue road to Borjomi – famous resort town, homeland of mineral water Borjomi. Walk in historical park, taste water from the source. Tourists may also swim in sulfur pools. From Borjomi drive back to Tbilisi either to Kutaisi. Option 2 – from end of May till October, tour will finish in Kutaisi. Morning in Abastumani. If tourists wish they can enjoy sulfur pools here too. Drive through Zekari pass to Kutaisi via very beautiful road through Borjomi-Kharagauli national park. By the evening we will approach Kutaisi. 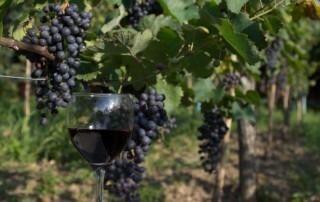 Near Kutaisi is possible to have very good dinner in winery and try very good wines from Imereti region. 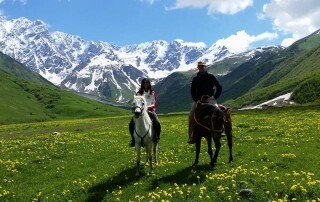 PRICE DOESN’T INCLUDE: Horse tour (around 35$ per person), Observatory entrance (5$).